I'm starting to realize that Brooklyn players from the T206 set are filled with a bunch of non-notable and unremarkable players. William Ridldle "Doc" Marshall was one of them. Doc was a journeyman outfielder and catcher. During a 6 year period he played for 6 different clubs, often bouncing around mid-season between team to team. 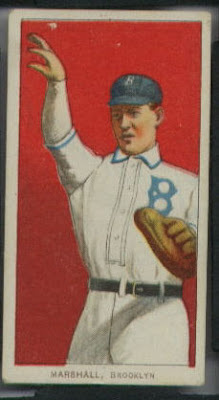 In his first year in 1904 he played for 3 different organization, but on 4 different occasions- starting with Philadelphia, then the Giants, on to the Boston Beaneaters and then back to the Giants. In his last year in the pros he finally landed in Brooklyn in 1909, and batted a less than robust .201 in 50 games. At least he stuck around for the entire year. 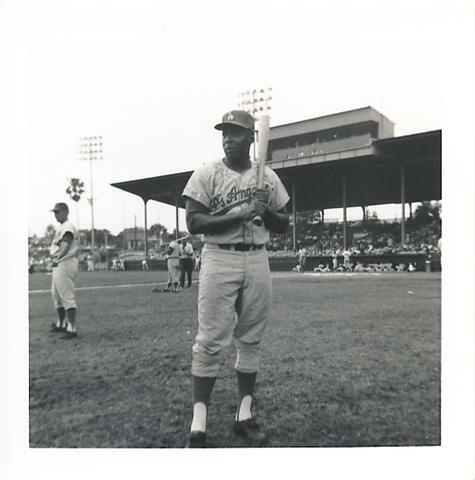 Thereafter, Doc played 4 more years of professional ball, primarily with the Milwaukee Brewers of the American Association. 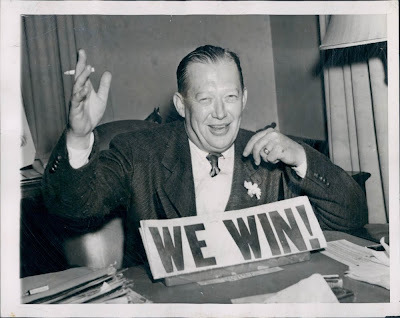 Former Brooklyn Dodger President Larry MacPhail celebrates the Dodgers 1941 pennant win on September 30, 1941. The Dodgers first in 21 years. He exclaimed, "God's in his heaven and all's right with the world." Soon thereafter, Larry fired manager Leo Durocher for ordering the train to skip a stop at the 125th Street Station on the teams way home while MacPhail and a jubilant crowd awaited their arrival. Of course, he claimed to not have remembered the incident- no doubt due to his drunken stupor at the time- and quickly rehired him. MacPhail was an important executive in Baseball and the Dodgers. While in Cincinnati he ushered in night Baseball, the first televised game in 1939 and commercial flying for teams between games. In Brooklyn, the Dodgers made a profit for the first time in its history, and he was the man who brought Red Barber, Vin Scully's mentor, to the fans. 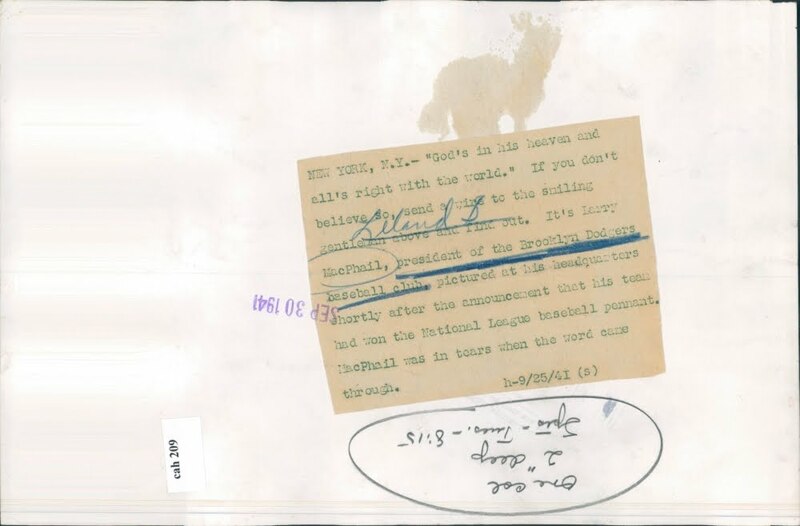 The signing of Babe Ruth was also under his watch. 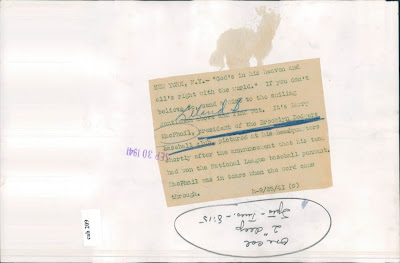 Other achievements as a Baseball executive include the first "Old-Timers" game, daily televised game broadcast, establishing a pension fund for employees among all levels of the organization, introduced the season ticket plan & stadium clubs, and batting helmets. Dodger manager Leo Durocher once said of him, "there is a thin line between genius and insanity, and in Larry's case it was sometimes so thin you could see him drifting back and forth." Here is a fan taken photo snapshot of Johnny Roseboro.